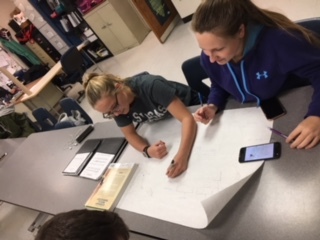 Medical Terminology class builds a game. Zach is learning component identification and how these components work in relation to one another. 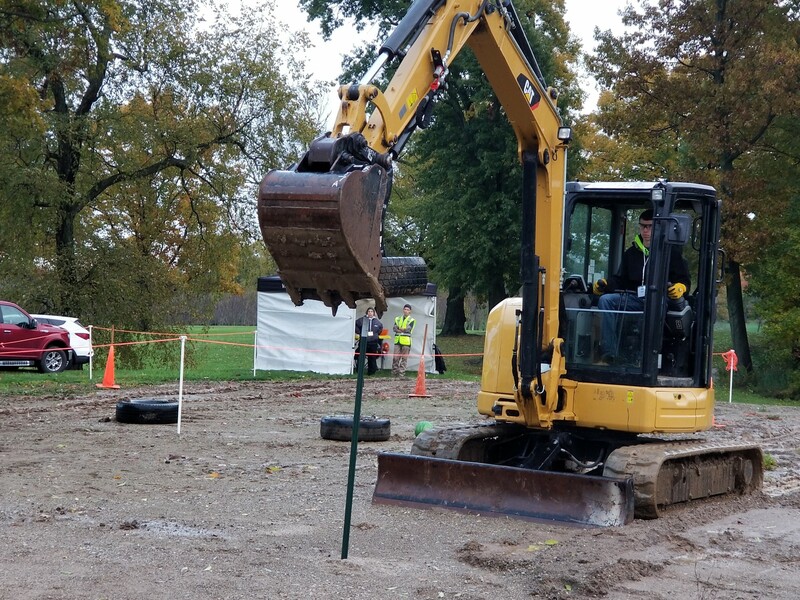 We recently took a field trip to the Ohio High School Landscape Olympics. 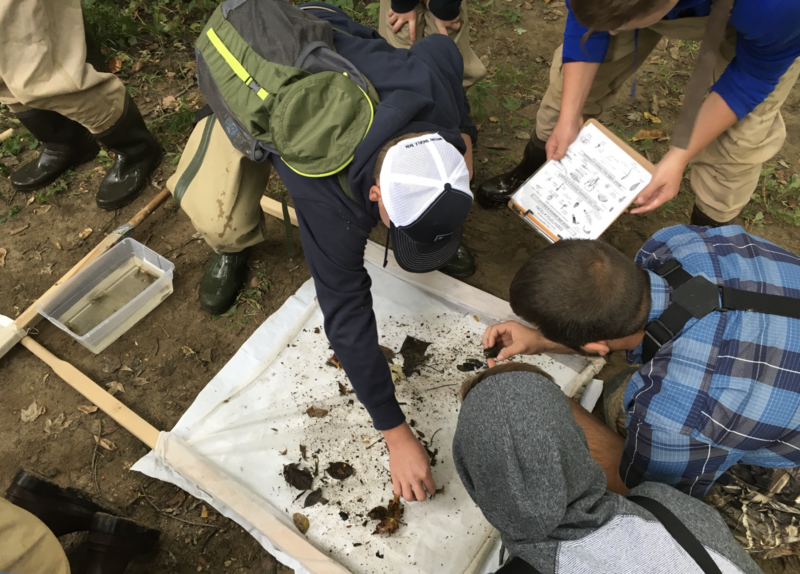 Students in the wildlife and fisheries class worked with 4 different government agencies to determine the health of Millcreek. 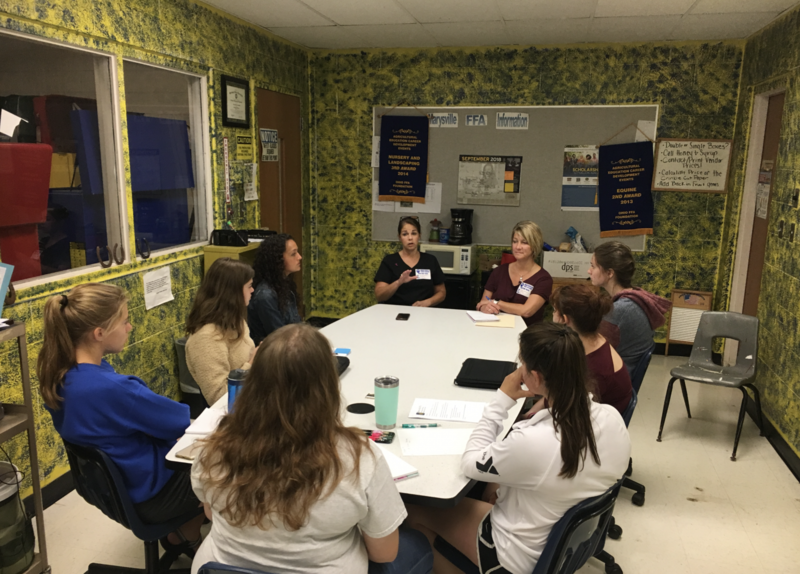 Students enrolled in the Veterinary and Animal Science pathway met with the Veterinarian, Dr. Amy Welker, and staff to discuss the upcoming internships. 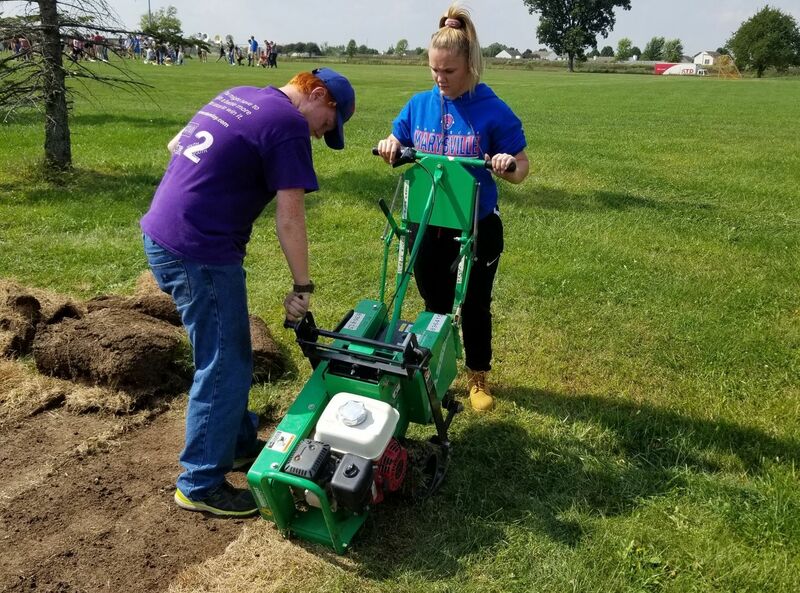 Students in the Sports Turfgrass Science class are working to establish test plots of new turfgrass behind the high school. 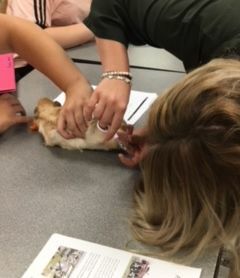 In order for students to understand the workings of an animal body they must first know where they are inside of the body. Students learn directional terminology and planes to serve as clear communication when performing surgery and other procedures. 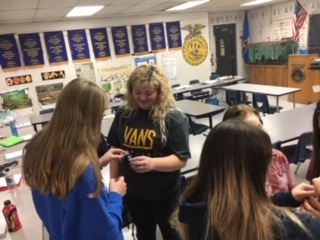 In the Veterinary and Animal Science pathway, students learn hands on skills when taking care of our classroom animals from trimming nails (pictured) to nutrition and breeding. 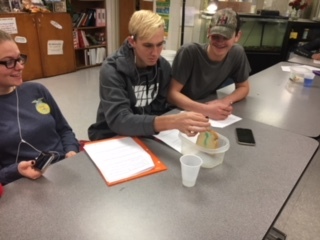 Students are designing and building a biofilter for our aquaculture system. 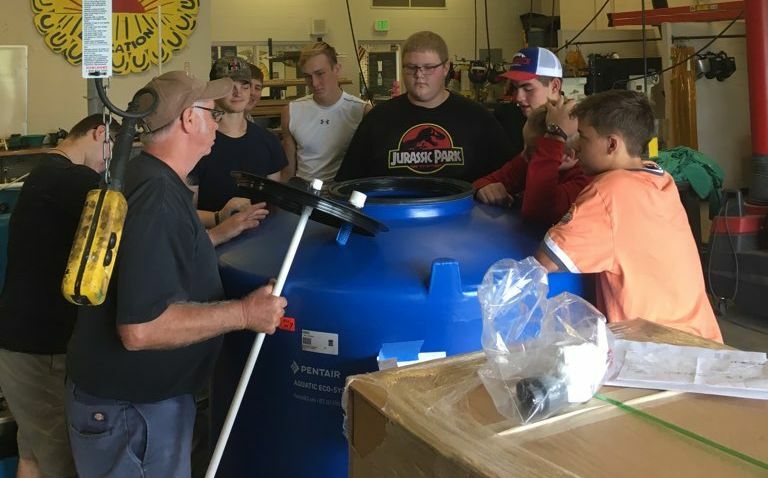 Students work with Barry Moffett from Southern Aquatic. 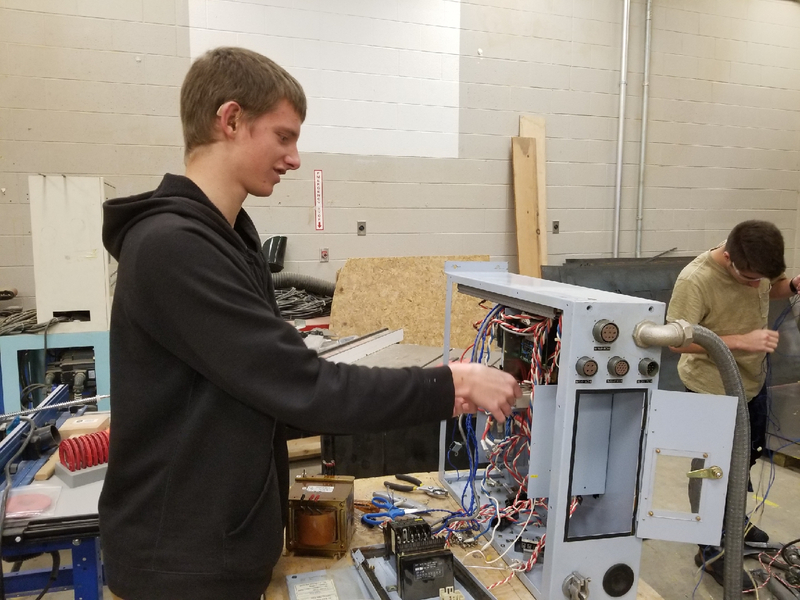 Students disassembled our existing biofilter and are replacing it with a new system. Students in the Marysville Ag Science department had an opportunity to work side by side Luke Brill from Parrott Implement. 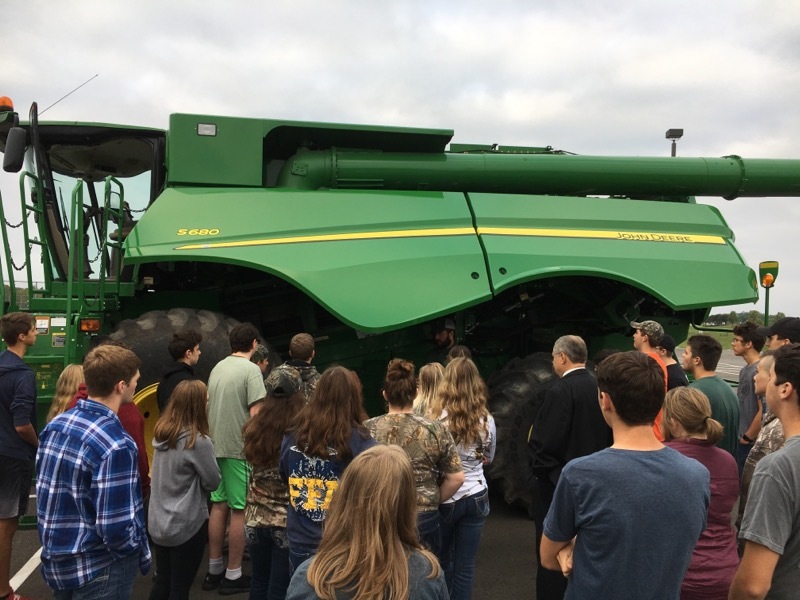 Students learn how a combine works and how to be safe around them, both in the field and on the road. Marysville High School’s Ag Science program has allowed me to become educated in subjects that will affect my life.